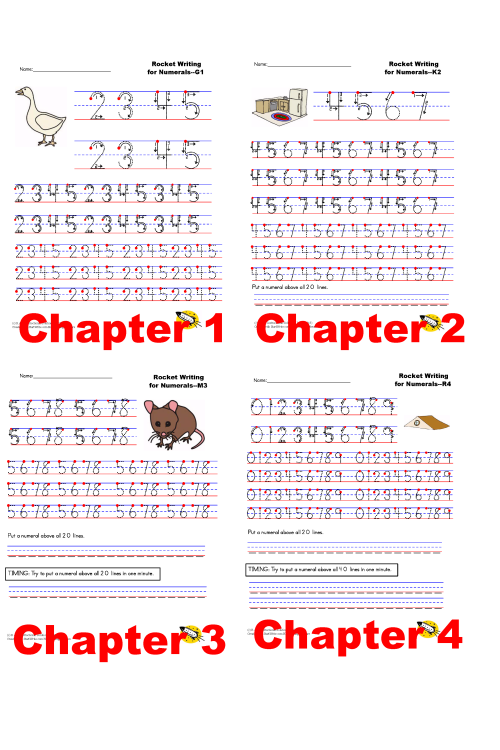 Chapter 1 starts with simply having students tracing the numerals and learning to form them in the correct manner. Students work through each of the numerals and practice them in concert with other previously learned numerals. 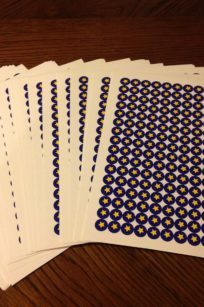 Chapter 2 gives more practice tracing but also requires students to learn to copy smaller examples and then write the numerals the appropriate size to fit 20 on a line. 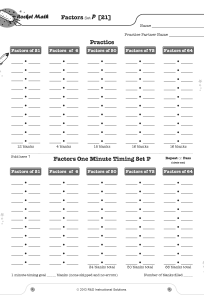 Chapter 3 gives more practice tracing but also has students do a one-minute timing to see if they can write 20 digits in a minute. 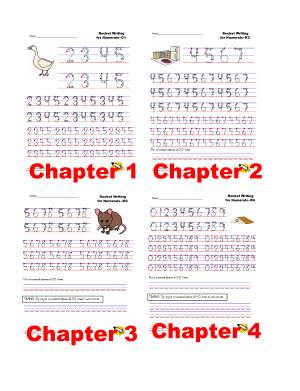 Chapter 4 gives more practice tracing but also has students aim for writing 40 digits in one minute. 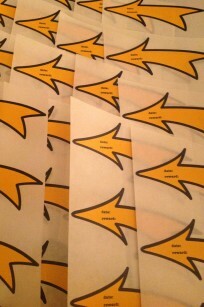 Once they achieve this milestone they are fast enough for Rocket Math. 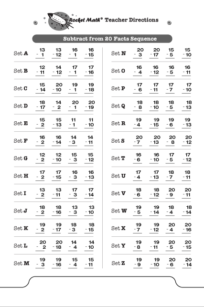 After becoming fluent with multiplication facts the best way for students to retain the knowledge of those facts is by doing multiplication computation. 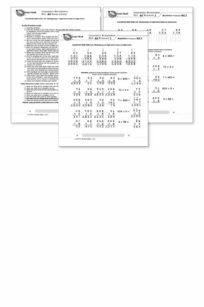 If students have not been taught multiplication computation, this program breaks it down into small, easy-to-learn steps that are numbered in a teaching sequence that leaves nothing to chance. Note that the number for each skill gives the grade level as well as indicating the teaching sequence. Skill 3b is a 3rd grade skill and after skill 3e is learned the next in the sequence is skill 4a. The sequence of skills is drawn from M. Stein, D. Kinder, J. Silbert, and D. W. Carnine, (2006) Designing Effective Mathematics Instruction: A Direct Instruction Approach (4th Edition) Pearson Education: Columbus, OH. (3d) Multiplying 1-digit times 2-digit, written horizontally. (3e) Reading and writing thousands numbers, using commas. (4d) Multiplying 2-digits times 2-digits. (4e) Multiplying 2-digits times 3-digits. (5a) Multiplying 3-digits times 3-digits. (5b) Multiplying 3-digits times 3-digits; zero in tens column of multiplier.